Join us in Cleveland for the 21st annual Museums and the Web conference: April 19-22, 2017 at the Hilton Cleveland Downtown 100 Lakeside Avenue East Cleveland, OH 44114, USA. About | The MW Program | What’s New at MW17 | Who Comes to MW? The MW (Museums and the Web) conferences convene annually in North America and Asia. Our meetings and proceedings feature advanced research and exemplary applications of digital practice for cultural, natural and scientific heritage. Formed by leading professionals from around the world, our community has been meeting since 1997, and recognizing the best in cultural heritage innovation through the GLAMi (formerly Best of the Web) awards annually. More than 1000 papers from the past 20 years of MW conferences are freely accessible online and offer an unparalleled resource for museum workers, technologists, students and researchers that grows every year. MW offers a range of professional learning opportunities, from plenary sessions to un-conference sessions, from formal papers to informal networking, from museum project demonstrations to commercial exhibits, from professional debates to lightning talks, from how-to sessions to crit rooms and the Best of the Web awards. Prior to the conference, there are half-day workshops and pre-conference tours. Social events include receptions each evening, and lots of refreshment breaks provide plenty of time to meet and talk with colleagues. Guest co-chair, Sina Bahram, brings a special emphasis on accessibility and inclusive design to MW17. Join special sessions throughout the program including the Accessibility Community of Practice and the Inclusive Design Incubator. Opening Plenary by Beyond Conflict, pioneers in the field of conflict resolution, addresses how museums can build more inclusive communities. Join the pre-conference workshop on Inclusion and Diversity in the 21st Century Museum on Wednesday too! Closing Plenary led by mentors in the field, Peter Samis and Carrie Barrett, reflects on learnings from MW17 and decades of work to make museums more visitor-centric. Join Carrie’s workshop on Leading from Within: Your Transformative Dialogue with Museum Leadership and Your Colleagues on Wednesday, and get your signed copy of Peter Samis and Mimi Michaelson’s new book, Creating the Visitor-Centered Museum, during Friday’s ice cream break! Get signed copies of Holly Witchey’s new museum thriller, Cocktail at the Museum, at the Exhibitors’ Reception, and see if you can be the first at MW17 to figure out whodunnit! Keep the MW conversation going year-round by joining a Community of Practice on Accessibility, Immersive Storytelling, or Online Collections. 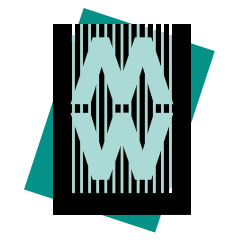 Propose a new Community of Practice or other enhancement to MW Conferences in a Roundtable Discussion with the MW team, and hear about how you can collaborate with the MuseWeb Foundation to transform the business of culture. See the GLAMI awards finalists present their exemplary projects and raise a toast to the winners. Get input from the community on your project or questions at the MW17 Clinic. Test Gallery One’s new experiences and test prototypes at the Cleveland Museum of Art Conference Reception and at the special off-site session on Saturday, 22 April. Hear about funding opportunities from the IMLS and the kinds of innovative projects the agency is supporting. MW17 Workshop Coupon: buy one get one free! Deadline extended for MW17 scholarship and volunteer applications!